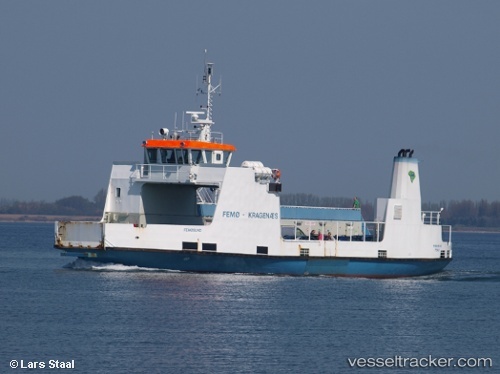 The 36 meter long, 107 dwt ro-ro passenger ferry Femøsund ran aground at Femø, Denmark. The ferry was approaching the ferry terminal at Femø when the vessel suffered a steering malfunction. Unable to control the propellers, the master of the Femøsund maneuvered the ferry away from the quay at Femø, but ran aground near by. No reports of injuries to the 7 passengers and 2 crew on board. Everyone on board had to wait a few hours until a search and rescue boat arrived on scene. 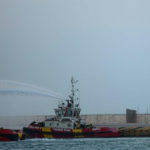 A tug was also dispatched to pull the Femøsund free. The ferry will undergo repairs and be inspected before going back into service. 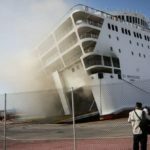 On August 29, the 175 meter long, 5351 dwt ro-ro passenger ferry El Venizelos caught fire off Piraeus, Greece. 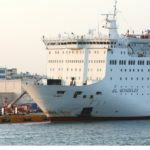 The El Venizelos was headed to Chania from Piraeus with various vehicles along with 875 passengers and 141 crew. 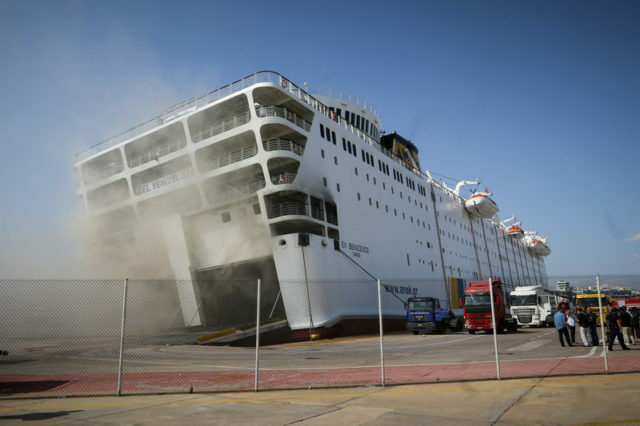 Some 30 miles off Piraeus, a vehicle caught fire which spewed out dense black smoke. 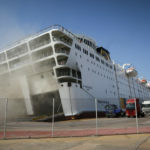 The ferry’s fire suppression system was able to contain the blaze quickly, but many compartments were filled with smoke. 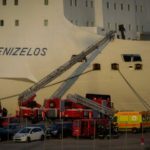 The El Venizelos returned to Piraeus where passengers were safely evacuated and fire fighters extinguished the fire. Reports state the vessel sustained minimal damage from the fire. Several passengers have stated there was some panic as they gathered on the lifeboat deck. However, there were no reports of injuries. 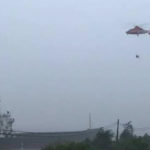 On August 23, a severe storm struck off the southwestern tip of Taiwan. 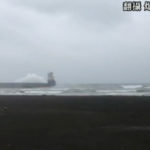 Heavy winds and strong winds battered the shoreline near the port of Kaohsiung. 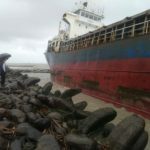 Several vessels which had been sitting in ballast were quickly blown ashore. 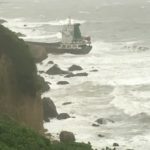 The 113 meter long, 6835 dwt container ship Jin Hua was blown aground north of Kaohsiung near Tainan City. The 89 meter long, 2000 dwt container ship Unlimited 2 ran aground between Kaohsiung and Tainan City. The 107 meter long, 6555 dwt tanker Dragonaria went ashore along the southern breakwater of Kaohsiung. The 83 meter long, 4063 dwt cargo vessel Shun Hong ashore off Kaohsiung. 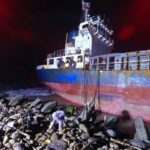 The 98 meter long, 5000 dwt cargo vessel Chang Long 68 was blown ashore. 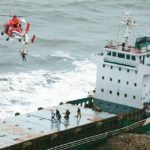 The 98 meter long cargo vessel An Li 669 went aground off Kaohsiung. 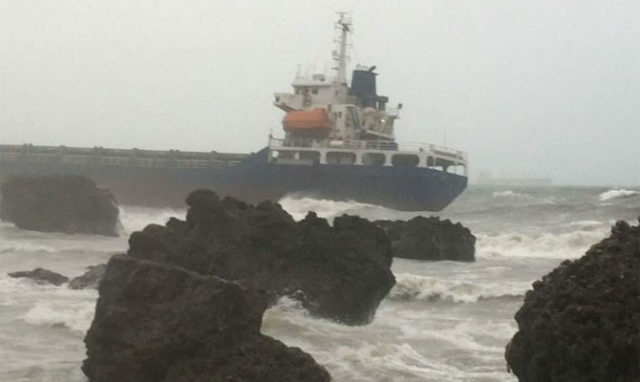 The 126 meter long, 8085 dwt cargo vessel Shun Yue 19 reported ashore near Kaohsiung. 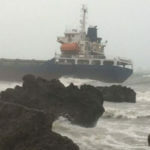 Reports state some 66 crew were rescued safely off five of the stranded vessels. No reports of injuries. Reports state a fishing vessel also went ashore and broke up, but all the crew were safely rescued by authorities. 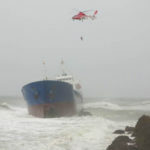 Authorities and salvage companies responded after the storm and began removal of fuel off the stranded vessels. 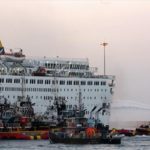 Some 85 tons of fuel was estimated to be on board the multiple vessels at the time of the incident.